Parents / Guardians are not allowed to meet the teachers during class hours. Those wishing to visit the school or meet the staff of the school must first obtain permission from the Principal. Parents who regularly fail to attend Parent - Teacher meetings will be deemed to be not interested in the student's education and as this is pernicious to the School and the Student, may be asked to discontinue. On completion of the terminal or final examination report cards should be personally collected by the Parents / Guardians. Besides the meetings arranged regularly, parents are expected to attend the instructions given through the diary or through special notes or SMS should come to school as and when required. 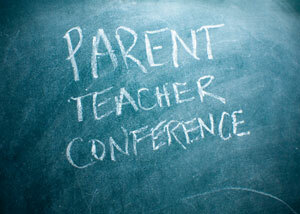 Parents of academically weak or students with unsteady disciplinary conduct, who fail to attend P.T. meeting will be deemed to be uninterested in their ward's education, may be asked to discontinue.